How Syria’s “Romeo and Juliet” almost destroyed Assad’s grip on power. Yet what the Mezher family did went beyond that, as they weren’t just challenging a militia.15.“في حادثة كاترين.. الاقتصاص “العائلي” في السويداء يطغى على سلطة “القانون” – Shaam SY They were going for the core of the power structure, the Al Bustan representatives and by extension, the people providing them backing – the governorate’s leading intelligence official. In terms of the current political demarcations in Syria, this was open rebellion.16.https://twitter.com/vincebeshara/status/914608152401907712 They were challenging the Assad family and by extension of that the Assad presidency and the Assad state in one act of defiance. It has to be said that most people reading about the conflict would probably not see their action in this light, but in Syria this is the demarcation line between loyalists and opposition. Support or opposition of Assad’s continued rule is the key divide for those who have a place in the current structure and those who do not. This is what the calls for Assad’s resignation symbolise, and why the fight over this issue is at the core of the war. Even loyalist communities who have suffered remarkably high casualties continue to support his rule in principle. The alternative is close to the realisation of one Wehrmacht General at the end of WWII, who is quoted as saying “We used to be colonels and generals, now we will be shoe-shine boys and bellhops.”17.http://www.historynet.com/the-walls-have-ears.htm Having being the dominant social class in Germany up to that point, generals preferred death to being shoe-shines and bellhops, and continued war was preferable for almost all. 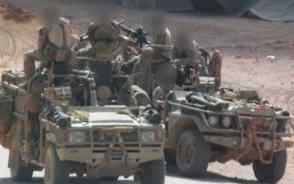 By October the situation had moved dangerously close to open war on the streets of Suwayda.24.https://twitter.com/vincebeshara/status/916242023904096257 Groups were gathering like football hooligans itching for a fight. Outlets were appealing for calm and yet it seemed like these cries were falling on deaf ears. This wasn’t just a case of a father missing his daughter, the kidnapping had gone too far. Perhaps the population viewed the 4th Division and Republican Guard affiliates patrolling and extorting along the checkpoints on the Damascus road as too much. Fighting was almost inevitable and there were few options to pacify a new uprising of this scale left for Damascus, not with the other existing hot zones at least. And yet today we don’t speak of the Suwayda uprising of 2017, a voice of calm carried the day even if not to everyone’s satisfaction, and even if it didn’t bring back the ones already dead, it did avert the clashes. Catherine Mezher spoke, as she had escaped her Druze family to the Alawite coast to marry a boy.25.A video of Mezher’s appeal appeared online shortly after the escalation began. The people who had confessed to taking her to a warehouse had been right, but it was not for her to die a gruesome death. She had eloped to marry a non-Druze man, something her conservative family wouldn’t have approved of. To further back up her claim she uploaded a video of her wedding.26.https://twitter.com/vincebeshara/status/917255188691537920 Her father still issued rejections but people were no longer willing to fight over something that had turned out so petty.27.https://www.facebook.com/profile.php?id=100010023490619&lst=1044072171%3A100010023490619%3A1521112618 In due time the remaining abductees linked to the case were released and tensions somewhat subsided to merely a tense sense of unease. This is an instructive moment. Syria isn’t secular, Syria isn’t united, Syria isn’t a single confrontation and more often than not, Syria’s civil war has nothing to do with geopolitics. I wish it would because if it were so it would have been long over, but it has to do with Syrians, Syrians who feel distinctly different from one another and are becoming isolated in their own shrinking immediate circle. And even Syria’s Romeo and Juliet’s happy ending was bitter, bitter and maybe a tad sweet. 25. ↑ A video of Mezher’s appeal appeared online shortly after the escalation began.